DNA and the concept of MDM(Master Data Management) have many similarities. DNA and the concept of MDM( Master Data Management) or Modern ML/AI Data Preparation have many similarities. We in IT have complicated and diluted the concept and process of analyzing data and business metrics incredibly in the last few decades. We seem to be focus in on the word data. And if you consider the primary business objectives of MDM is provide consistent answers with standard business definitions and an understanding of the relationship or mappings of business outcomes to data elements. DNA vs MDM or IT’s version of DNA. Living Organisms are very complex as is a company and its data or information. The genetic information of every living organism is stored inside these nucleic the basic data. RNA – Communication, transfers information and synthesis. 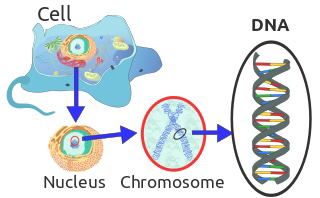 DNA-Deoxyribonucleic acid – In most living organisms (except for viruses), genetic information is stored in the form of DNA. RNA – can move around in the cells of living organisms and serves as a genetic messenger, passing the information stored in the cell’s DNA from the nucleus to other parts of the cell for protein synthesis. So here goes this is a bit of a stretch but if you consider DNA is the “Data” and a person the “Information” is created from the communication through the RNA. 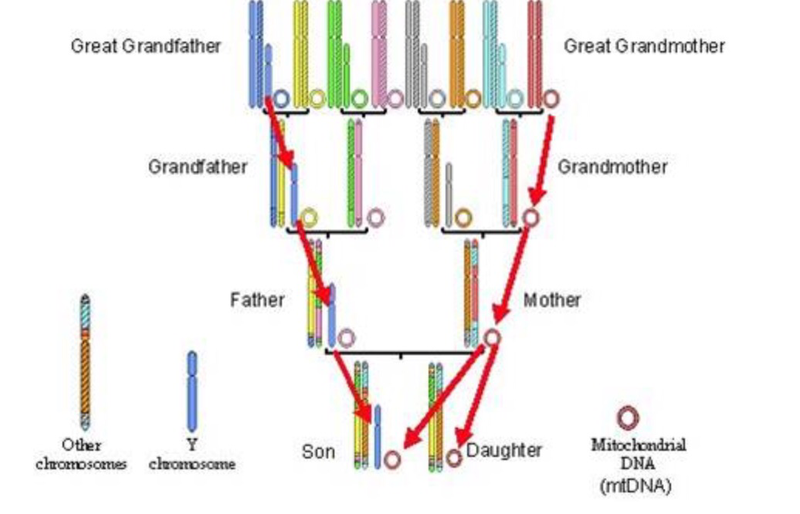 To continue the analogy the DNA or chromosomes in and by themselves are out of context. It’s only once they been passed from one person to the next driven by RNA and result in a human being in that they become contextually realized as a human. Again if we break down human DNA and inspected it, we can tell many things origin, or ancestory , traits of the person possible, diseases of the person, but it needs to be processed for us to understand the actual person. The history of temperature readings all over the world for the past 100 years is data. If this data is organized and analyzed to find that global temperature is rising, then that is information. The number of visitors to a website by country is an example of data. Finding out that traffic from the U.S. is increasing while that from Australia is decreasing is meaningful information. Often data is required to back up a claim or conclusion (information) derived or deduced from it. For example, before a drug is approved by the FDA, the manufacturer must conduct clinical trials and present a lot of data to demonstrate that the drug is safe. Data needs to be interpreted and analyzed, it is quite possible — indeed, very probable — that it will be interpreted incorrectly. When this leads to erroneous conclusions, it is said that the data are misleading. Often this is the result of incomplete data or a lack of context. For example, your investment in a mutual fund may be up by 5% and you may conclude that the fund managers are doing a great job. However, this could be misleading if the major stock market indices are up by 12%. In this case, the fund has underperformed the market significantly. Defines Traits, Characteristics like DNA many companies have developed and refined products and the techniques required for during these. They are data profiling , domain pattern profiling and record linkage, the basis of transforming data into information . 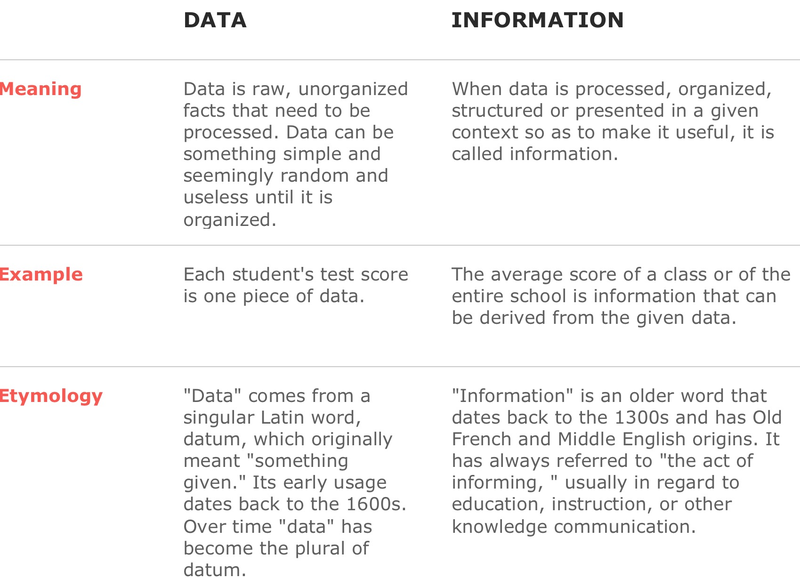 However lineage is the key, and without this to serve as a connection between data and information, in essence there is no information. And in this case the “information” is the business term from the business glossary. The integration of data movement capability and the linking of data profiling capabilities can result in providing a business the capabilities answering business question with certitude through the transparency of lineage. What lineage accomplishes is to lay a trail of cookie crumbs for data movement but for your business questions, it’s simply makes sure that you can connect the dots as data gets moved and/or translated and/or standardize and or cleansed throughout your enterprise. And with the simple action of linking data file metadata of files, columns , profiling results to a businesses glossary or business terms, will result in deeply insightful and informative business insight and analysis. In order for a business manager for analyze you need to be able to start the analysis at a understandable business terminology level. And then provide the manager with the ability to decompose or understand lineage from a logical perspective. There are three essential capabilities required for analysis and utilizing lineage to answer business questions via a meta-data mart and these are very similar to the pattern that exist in DNA. c. Fuzzy Matching( similarity algorithms) – This capability enables the find the counts of duplicate or similar text values. 2. The results need to be stored is a “Metadata-mart” in order to see the patterns, results and associations providing lineage and retatingraw data to business terms and hierarchies. Underlying each of these analytical capabilities is a set of refined processes, developed and proven code for accomplishing these basic fundamental task. In future post I will describe how to implement these capabilities with or without vendor products, from a logical perspective. This entry was posted in agile, Data Governance, data profiling, data quality, data quality mart, Dna, Download Complete Data Profiling Kit - TSQL, Fuzzy Matching, Guerilla MDM, Mdm, Metadata Mart, Uncategorized and tagged data, Dna, fuzzy, Lineage, matching, MDM, Profiling. Bookmark the permalink. 1 Response to DNA and the concept of MDM(Master Data Management) have many similarities. Thanks for the article Ira. Intriguing comparison of data & information to life’s genetic coding routines.